These terms conditions are general and apply to all aspects of the celebrancy services that Glenda J Ashleigh offers. With the exception of quotes by other authors, as duly identified, the text on this website is the intellectual property of Glenda J Ashleigh and is covered by copyright for her lifetime and 70 years beyond. The links that Glenda J Ashleigh provides on this website are for information only. I do not receive remuneration from the suppliers of these links or their representatives, and all negotiations are between yourself and the supplier. All celebrant services that Glenda J Ashleigh provides are subject to these general terms and conditions. Clients, and Glenda J Ashleigh as the appointed celebrant, review and agree to detailed terms and service conditions when booking and confirming the specified celebrant services. These privacy requirements form part of the terms and service conditions of the celebrant services that I provide. 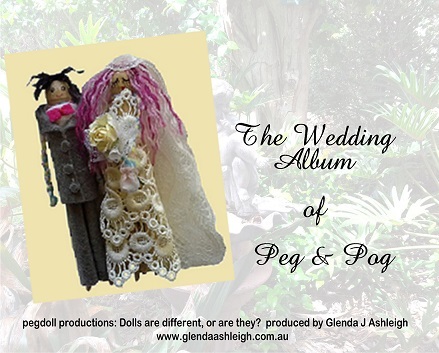 I follow a strict code of practice as a Marriage Celebrant in Australia . I respect the privacy and confidentiality of my clients. Records of your marriage ceremony that I keep are private and confidential at all times, apart from registration of your marriage with Births Deaths and Marriages as required by law. These privacy and confidential requirements also apply to all other ceremonies that I conduct. I keep your contact details secure, and I do not pass on your private information to any other person without your consent. I ask clients to comment on the ceremonies that I conduct. These comments are only made public with the consent of clients. I store my records in a safe and secure manner to safeguard your private information in accordance with privacy guidelines. If you have any questions about your privacy, please contact me.